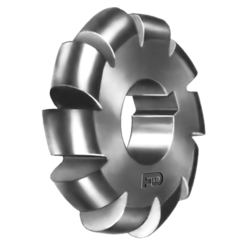 Pioneers in the industry, we offer convex cutter from India. Owing to our vast experience, we are able to offer precision engineered Convex Cutter for cutting intricate concave half circles in any material. These are manufactured using quality raw material in accordance with the industry standards. Clients can avail from us form-relieved high speed steel cutters in different sizes, with upto 250 mm diameter.